Though Bielefeld is known for her portraiture, this new series takes that interest a step further. 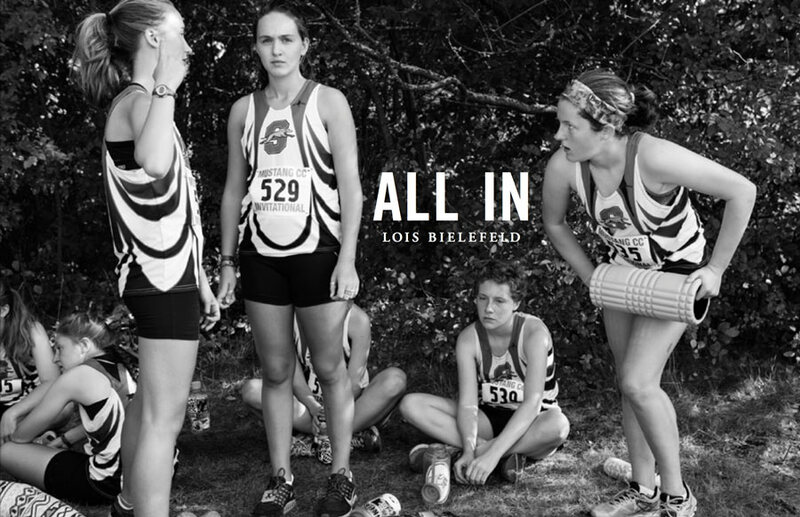 Here, she documents her daughter’s high school cross country team over a full season of workouts, races, team-building activities, and camping trips. The series reveals a roller coaster of emotions and physical ordeals that tell a captivating story of growth and accomplishment, while also helping us revisit our past lives as teenagers navigating the landscape of friendship, group dynamics, and team sports. The team’s coach and mentor, Sarah Kopplin, has contributed her writings and thoughts surrounding a philosophical approach to coaching and team sports that put individual goals and development above winning. She’s also nurtured a culture of inclusivity and encouragement that reveals a progressive attitude sometimes elusive in the sports world. Bielefeld captures all this in her series, nimbly walking a line between art and sports photography.